Speaking about this particular topic could be very controversial and most of the medical professionals might even say that we are doing a disservice to humanity, because somebody could die due to the bite of a certain tropical insect, for instance, however, we must stress that undoubtedly there are very good vaccines, which have saved human lives, the problem that we have now has to do with what’s being added to these vaccines. If we think that a vaccine is a good product and the government wants to inoculate many people, and a separate organization with an evil agenda that have a lot of power come along and say that they want to put some additive to these vaccines, then the vaccines are altered. 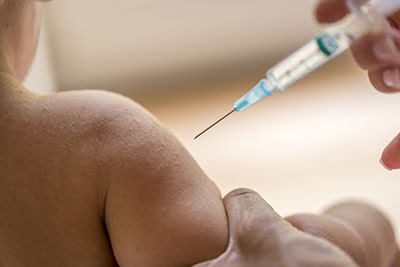 Then, when a doctor gives an injection to a patient he/she believes that the patient is receiving something good, it's important to say that the vast majority of the doctors are actually good people, who are concerned and care about their patients, but they are kept in ignorance with regard to the content of the vaccines. Then, in our estimation there are some inoculations which are not good and certainly many children will grow up with them, so, we suggest that those parents look at this issue and pay attention that in America a law has been passed, which is not yet in effect and you will not be able to send your child to kindergarten unless he/she has received all the injections, the main argument they have is that they don’t want to spread a disease to all the rest of the children, but also they will know when the vaccine was inoculated to a population based on the age range, so the risk is big and the cost of being against recent vaccines very present. Then, personally, at this precise moment, I would not receive any vaccine offered to me at all, not until the system changes, I want to be positive on this issue, but until these evil people are removed from their positions of power, the medical system cleared out and we are informed on what exactly these injections have, what they have put in the food and drinking water, I cannot accept it. At this moment ordinary people do not know what they are eating, what they are drinking or what’s being injected into them because they are not being told the truth. That’s what we, as a people, must be aware of. There is a terrible game that is being played unbeknownst to good and decent people who would never hurt other people and certainly they believe that nobody would hurt them, but they also find it hard to believe that the people they elected are playing subservient roles to vast corporations who dictate to them what they can do or can’t do. Some politicians also don’t know what is in the needle when they get their own injections. So, all that I can suggest is that you ask your Higher-self and make your own decision and make them with the good intent to your children as well. This entry was posted at Sunday, October 09, 2016 and is filed under Medical Science, Secrets . You can follow any responses to this entry through the .